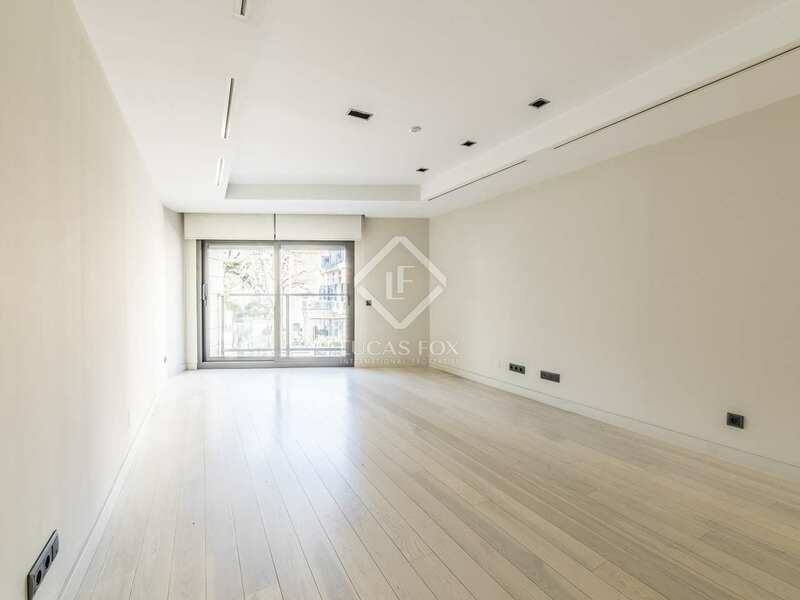 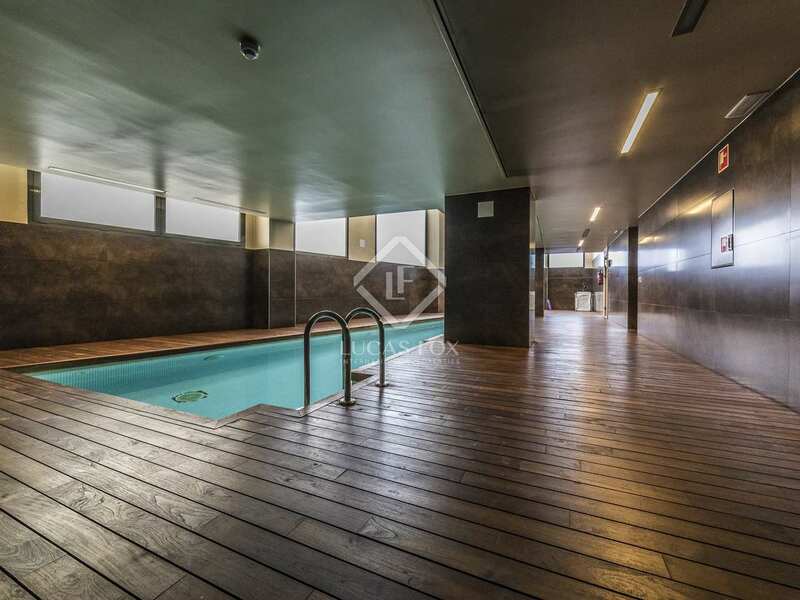 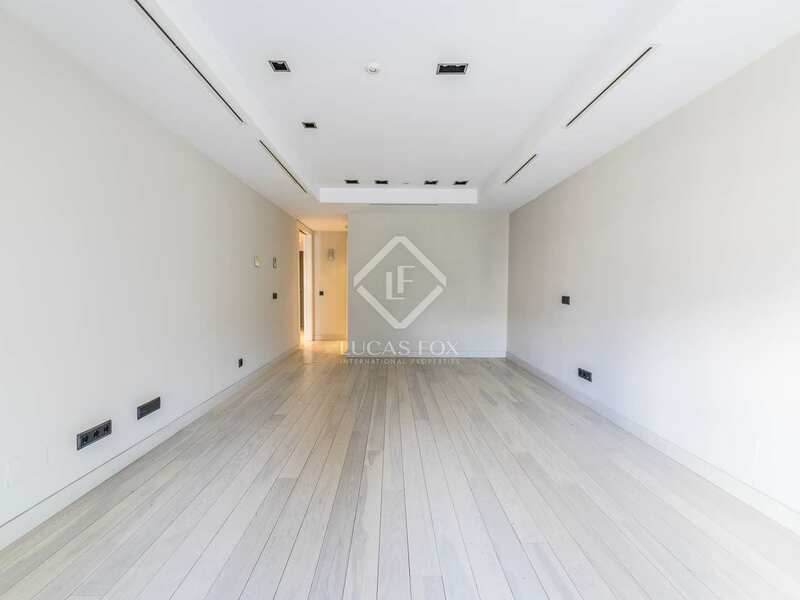 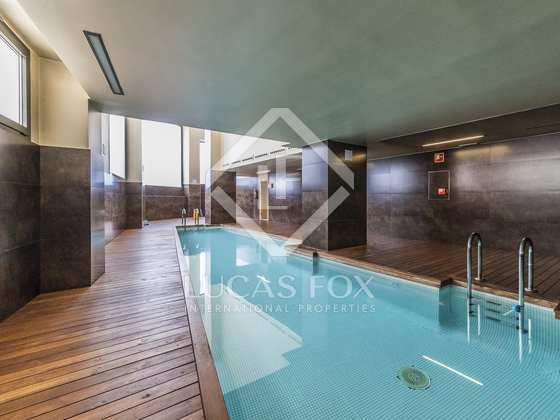 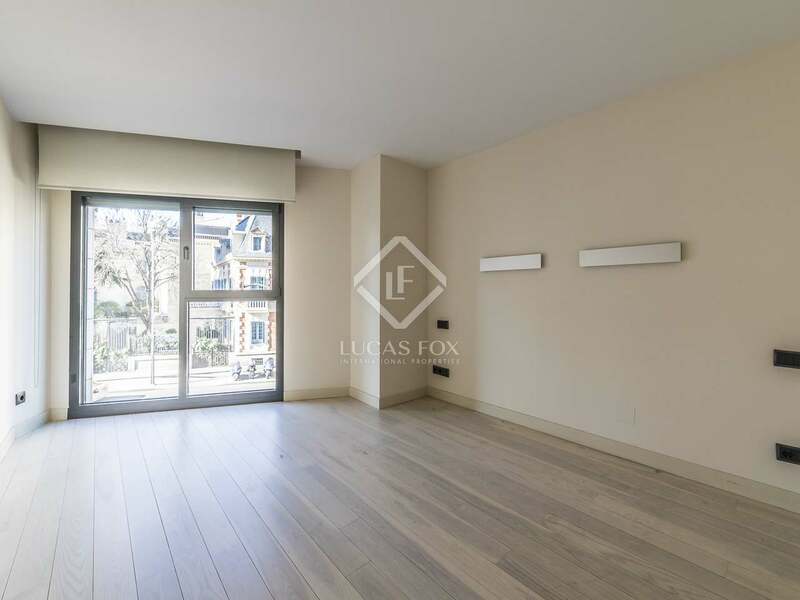 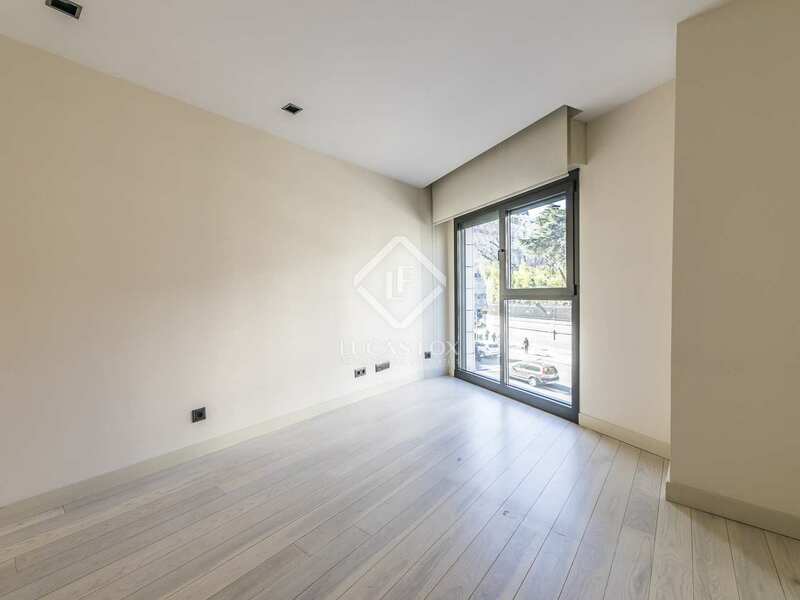 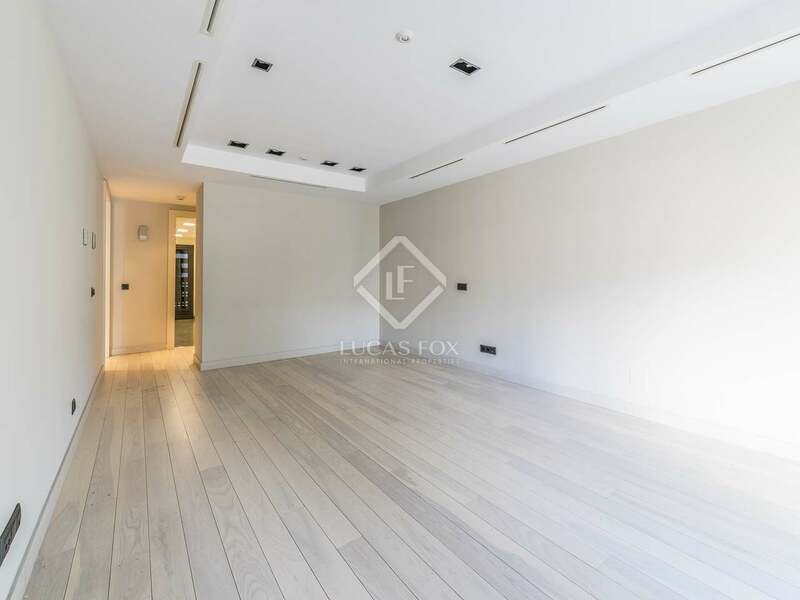 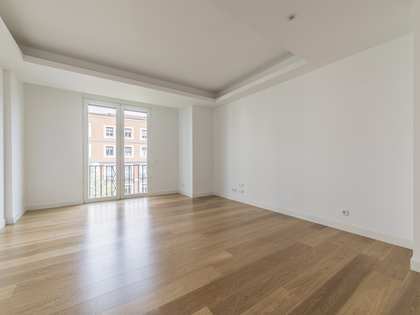 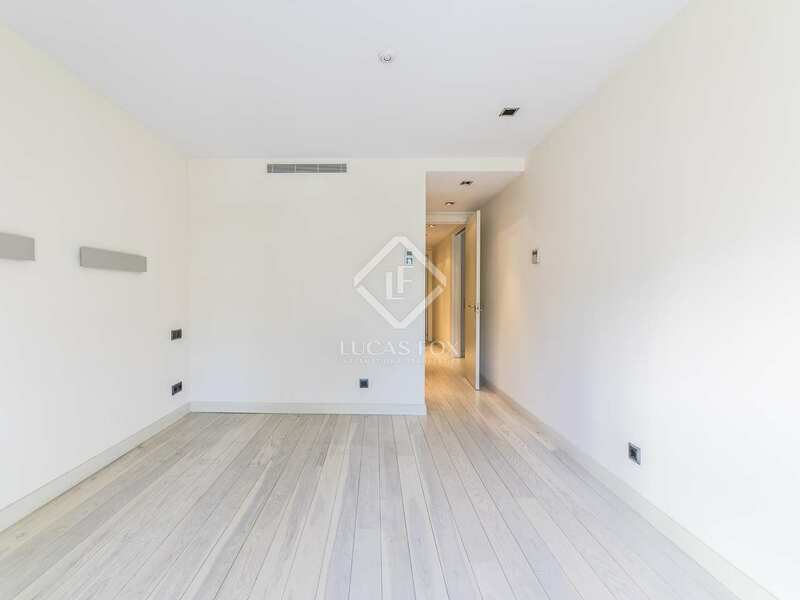 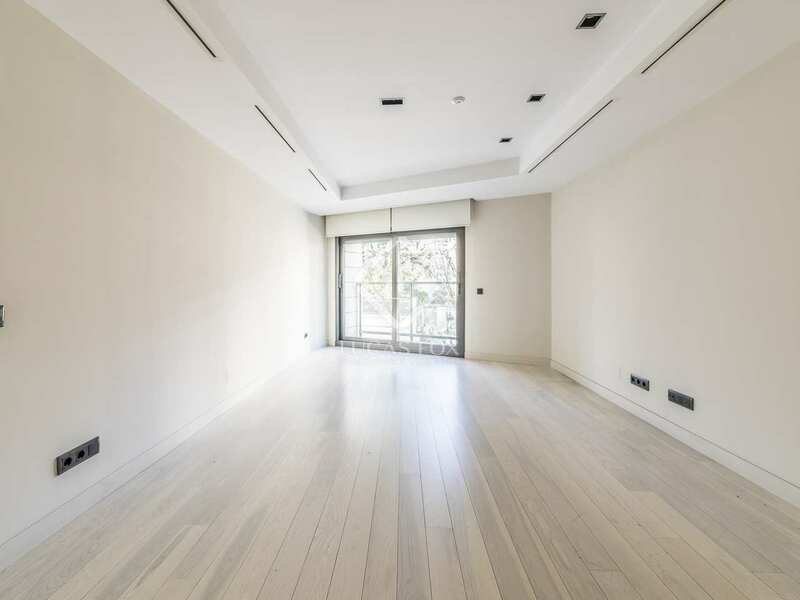 Spacious, bright 2-bedroom apartment with swimming pool, spa and gym for rent in Almagro, central Madrid. 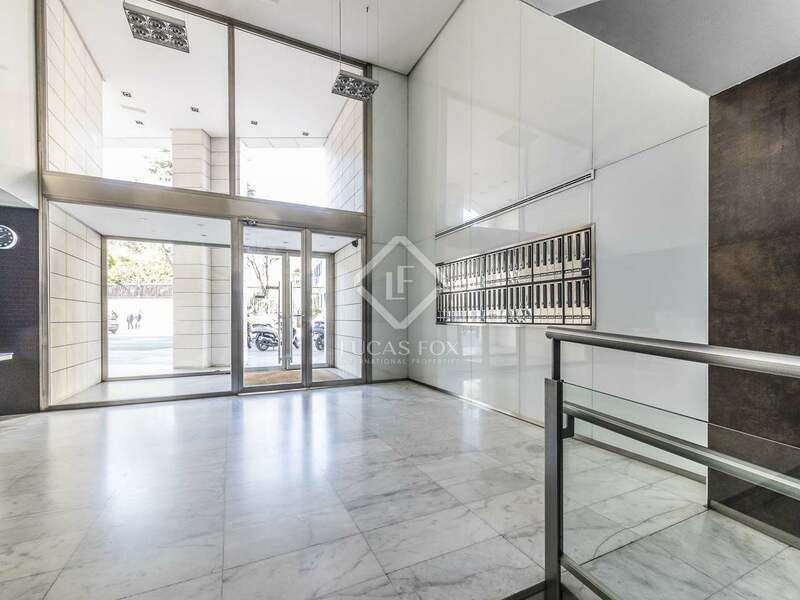 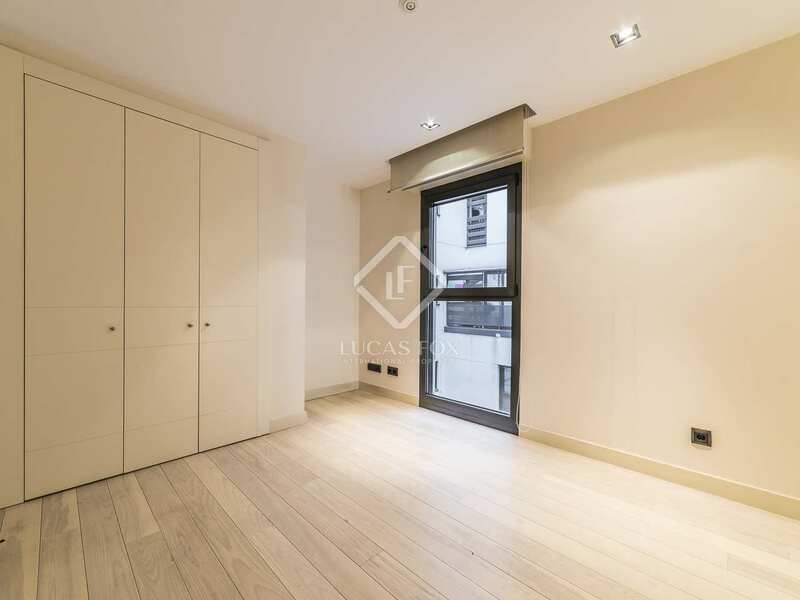 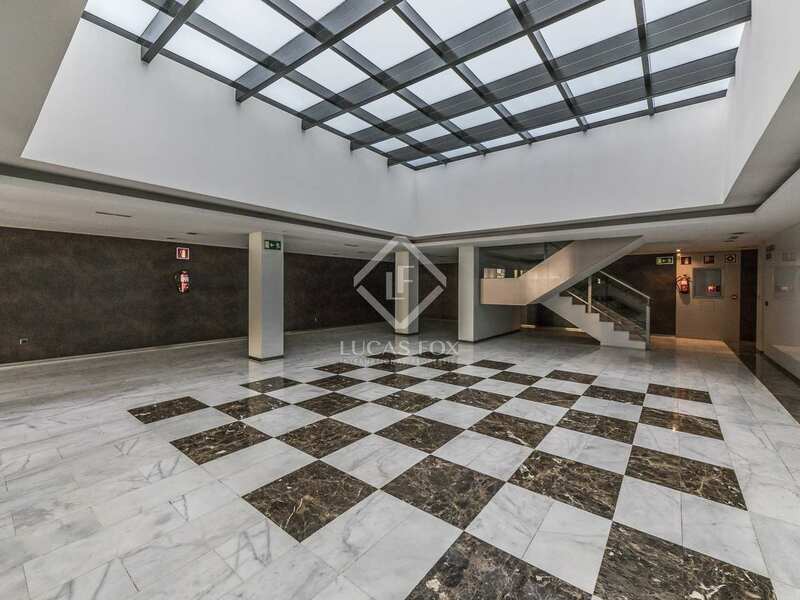 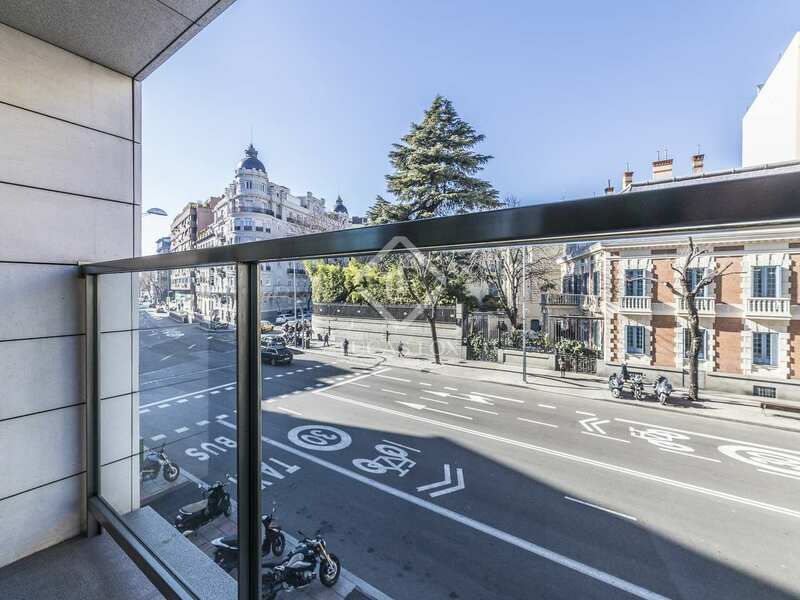 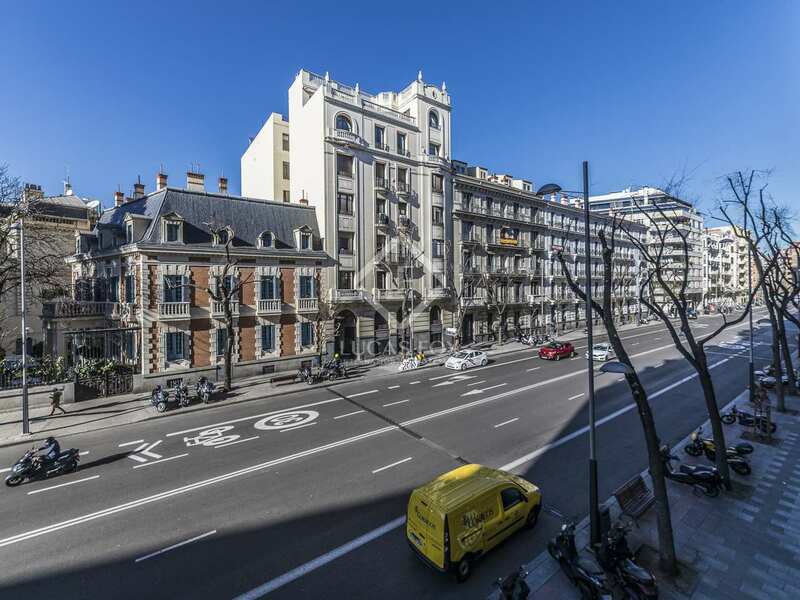 Apartment in an excellent location on Calle Almagro, with unobstructed views of a quiet street. 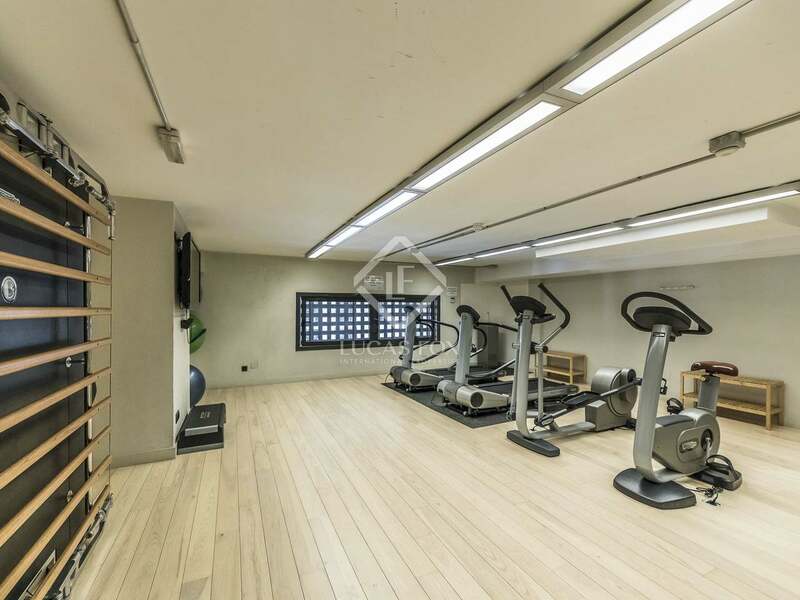 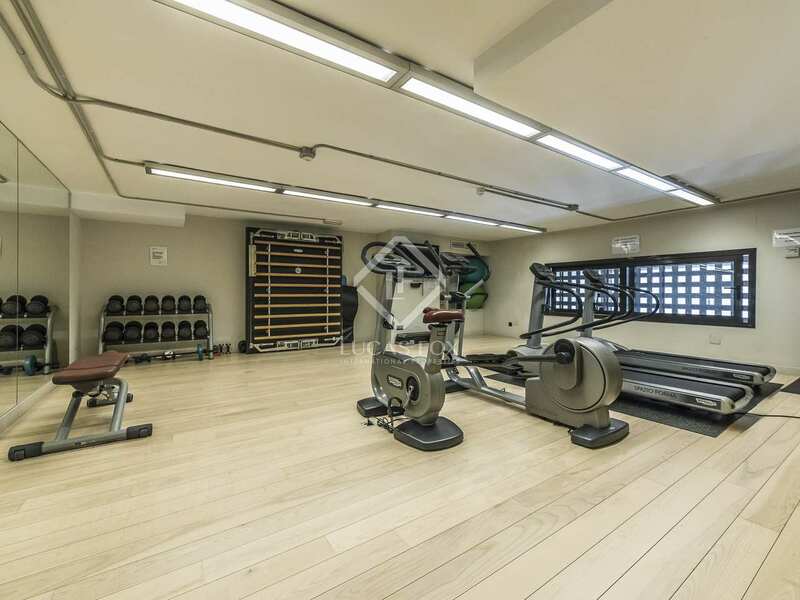 It is situated in a modern building with swimming pool, gym, 24-hour security and possibility of renting a garage space and storage room in the same building. 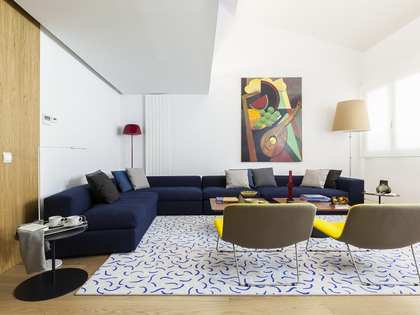 Upon entering the property we find a landing area. 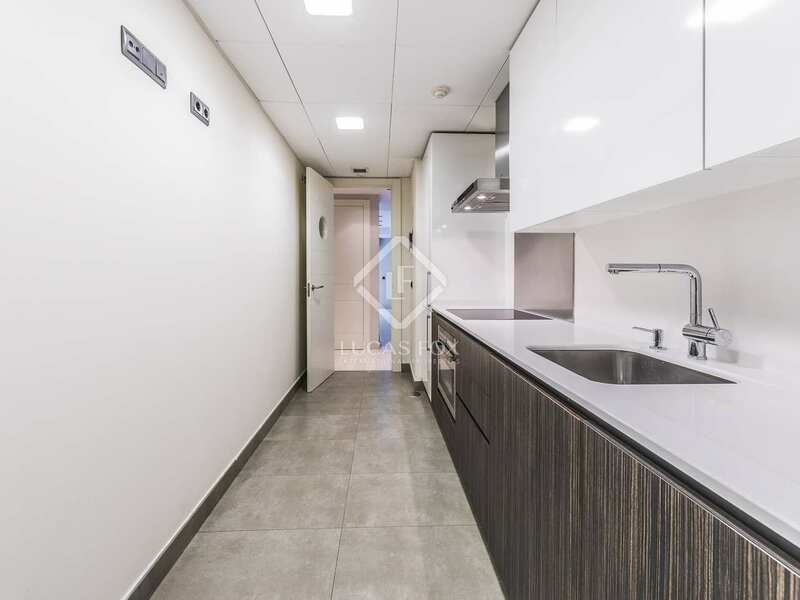 On the right is the living room with a large window facing the street, and on the left we find the kitchen with a separate laundry area. 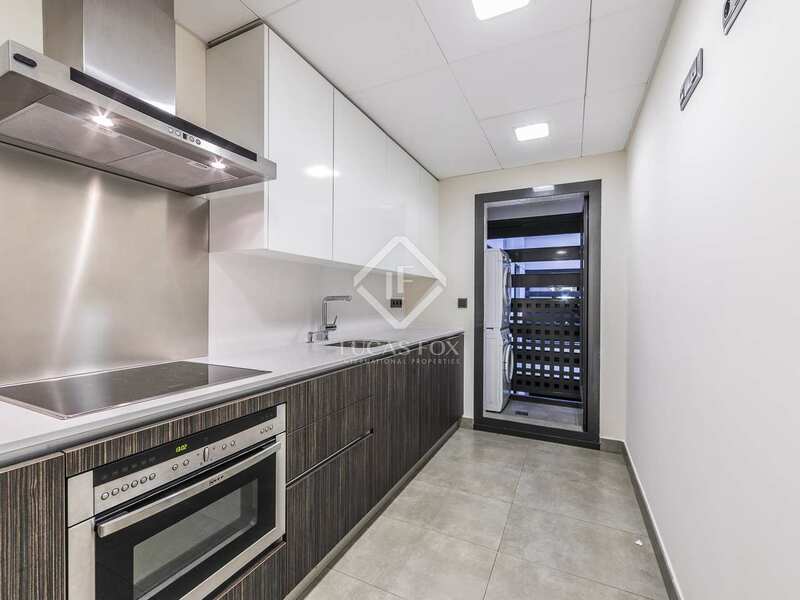 The kitchen comes fully equipped with high-end appliances. 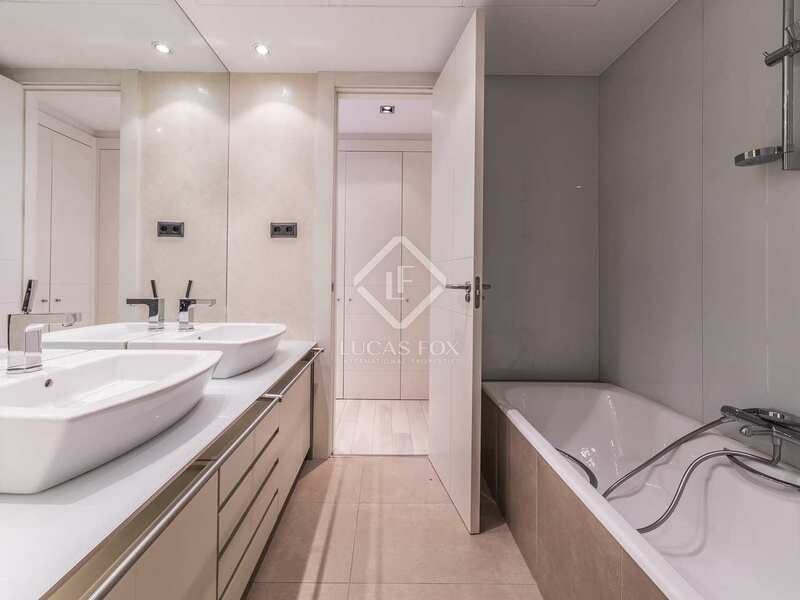 Moving on we find the master bedroom which benefits from its own ensuite bathroom and then the second bedroom and second bathroom. 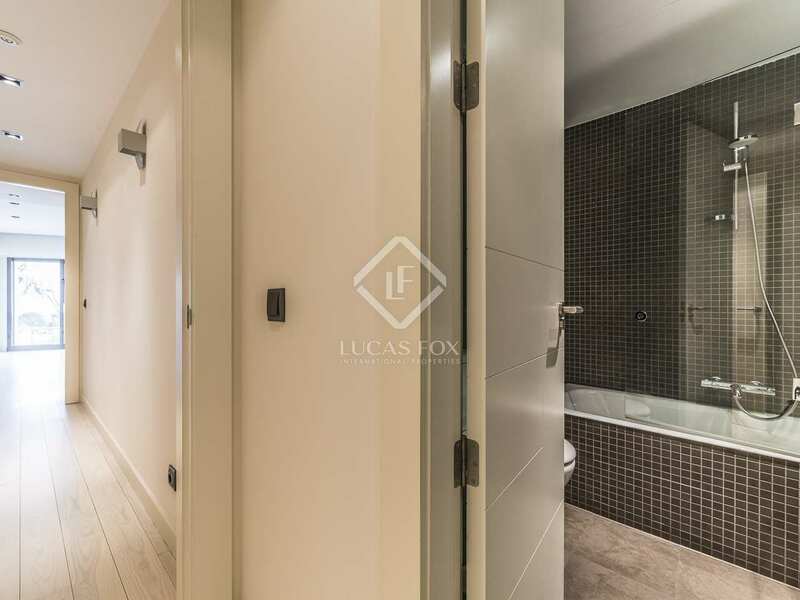 Both of the bathrooms have modern sanitary ware and enjoy both a bathtub and a shower. 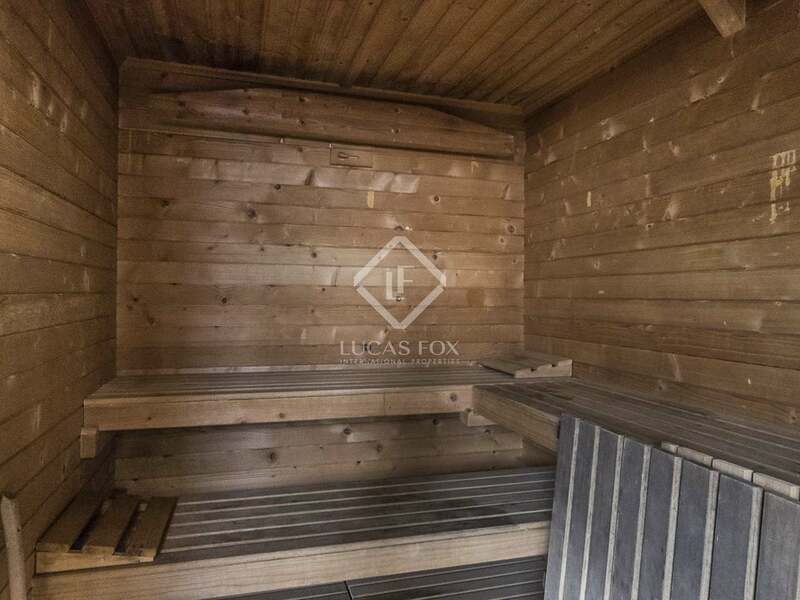 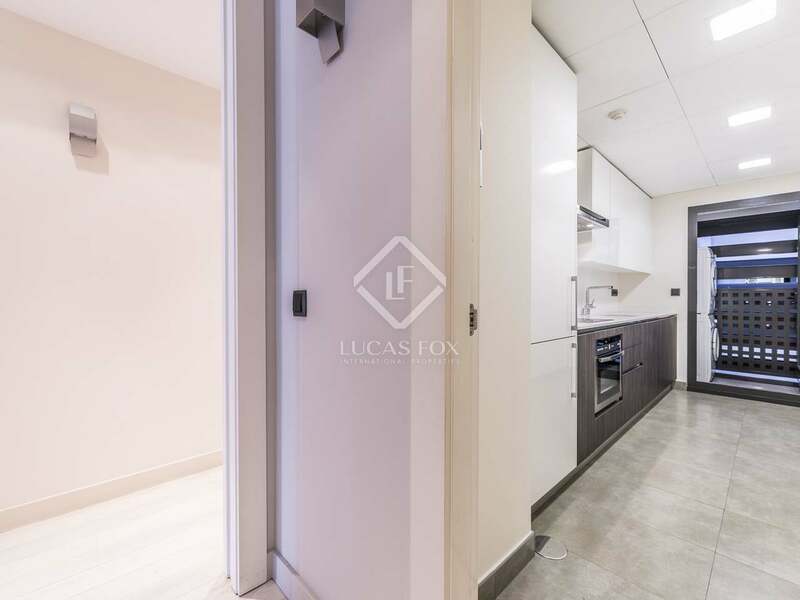 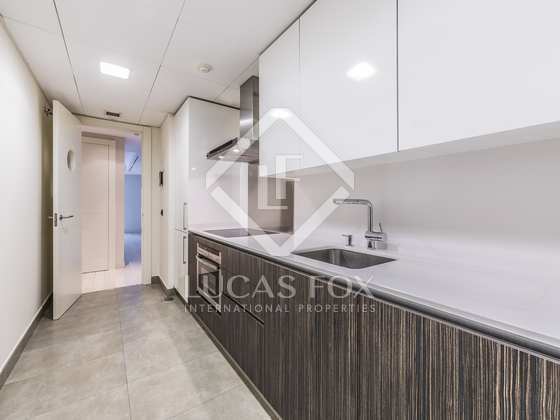 This cosy property offers great finishes throughout and guarantees the maximum comfort of the tenants, with underfloor heating, home automation and an optional parking space in the same building. 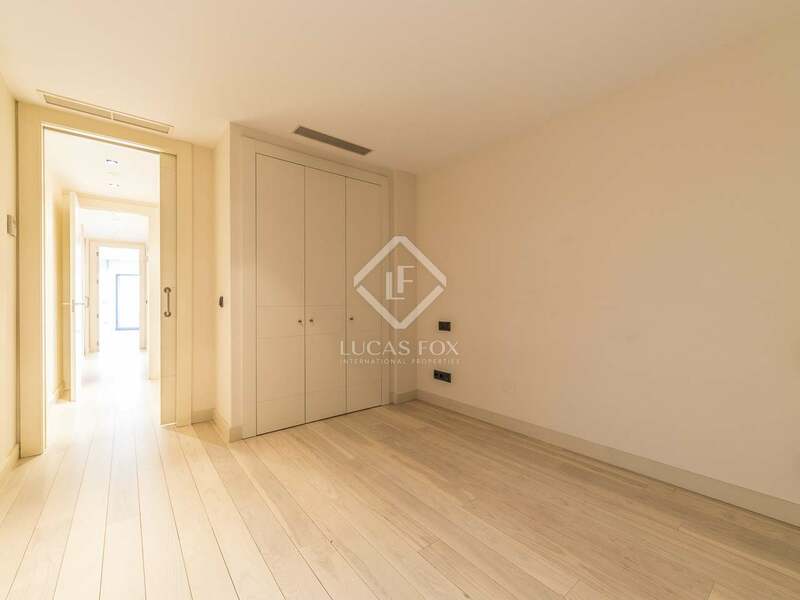 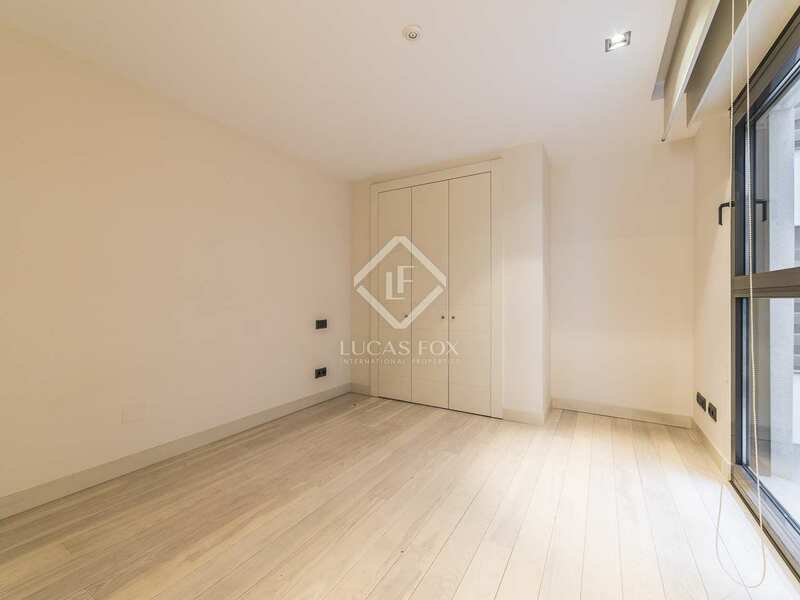 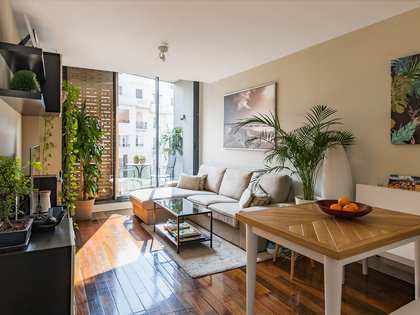 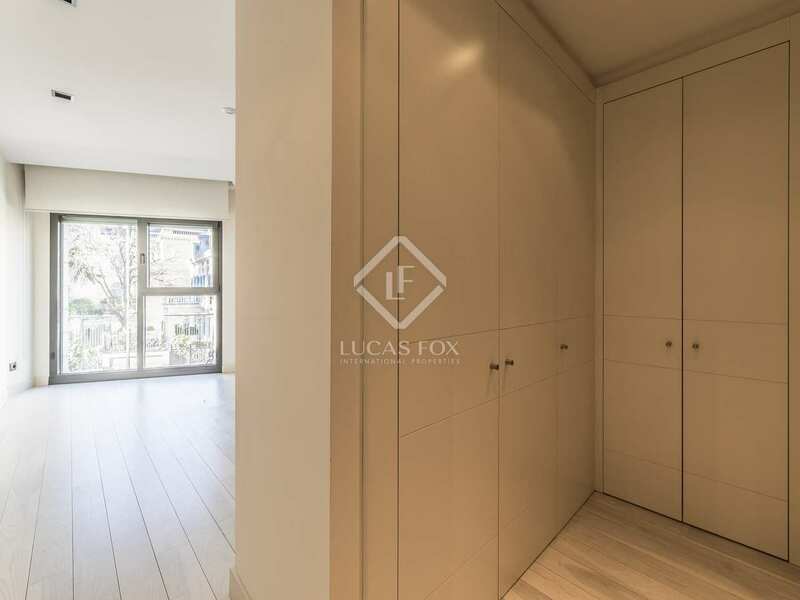 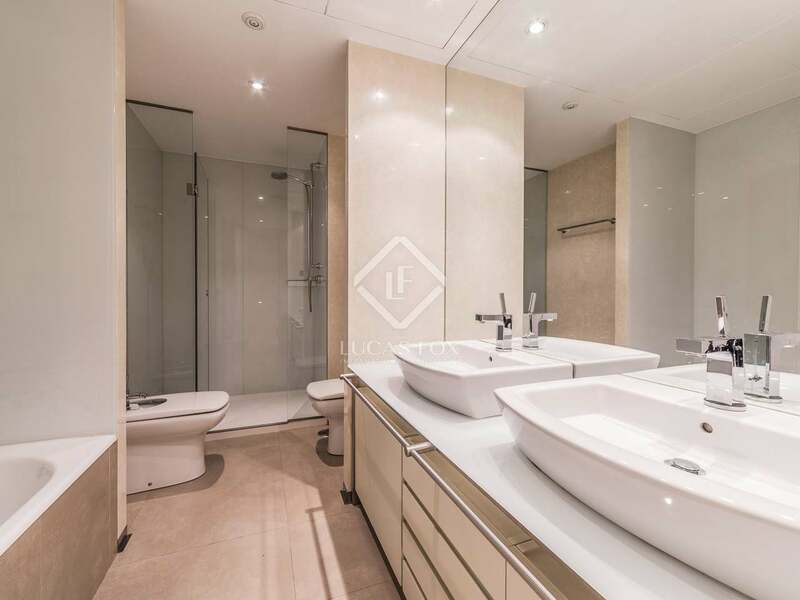 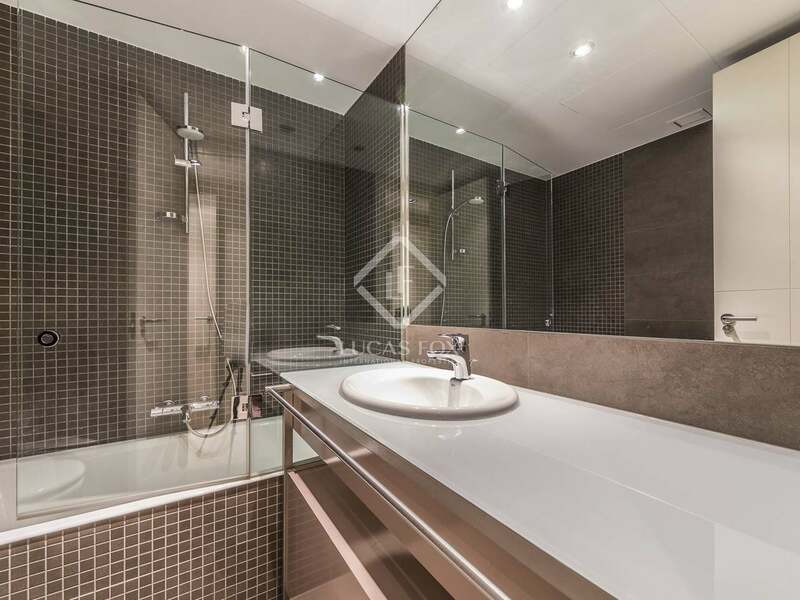 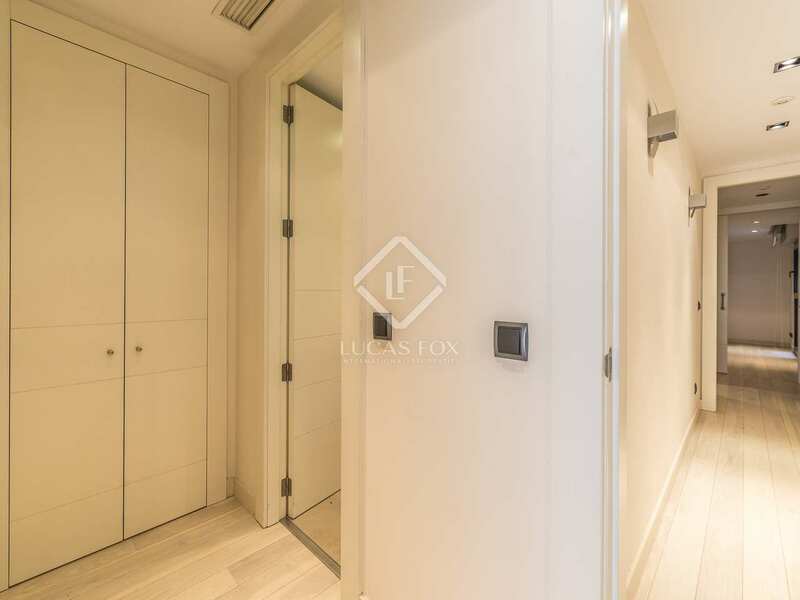 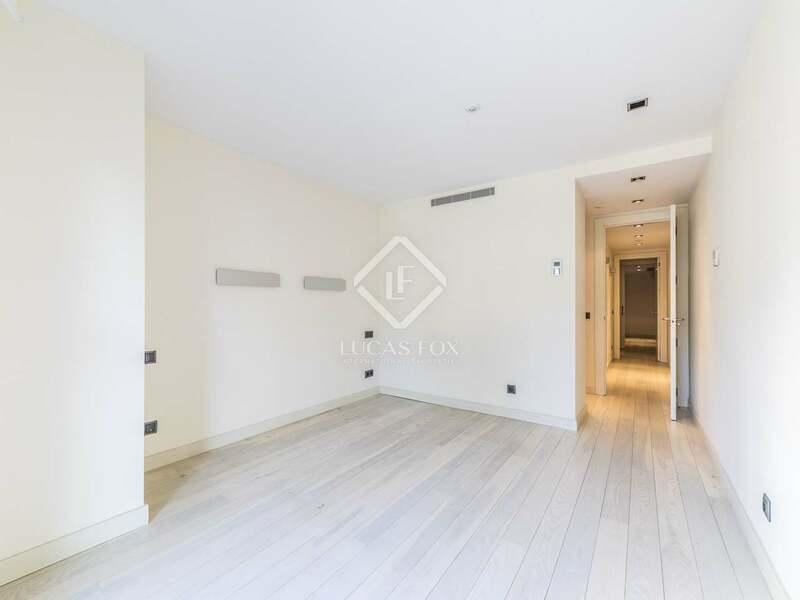 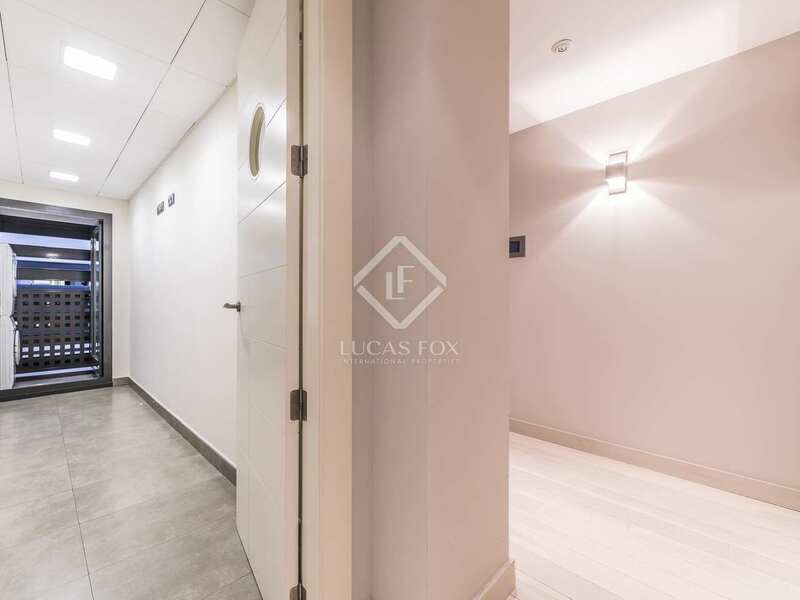 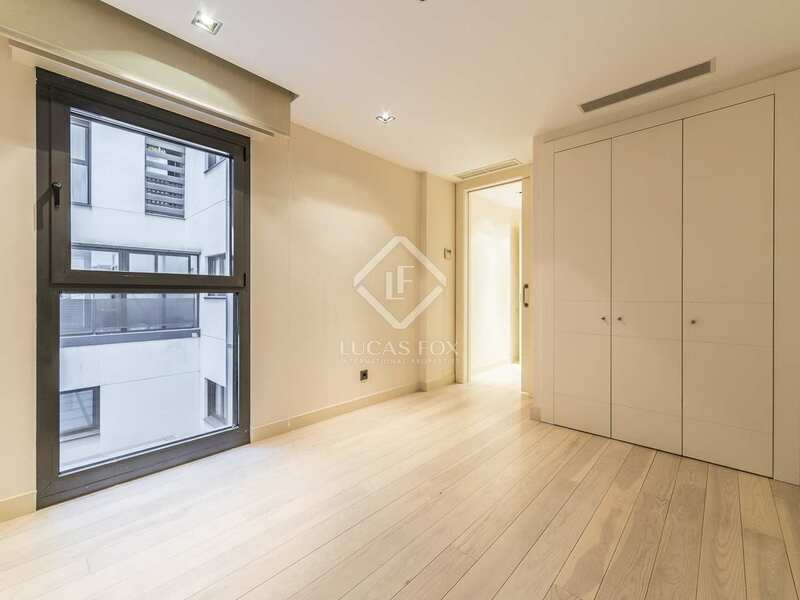 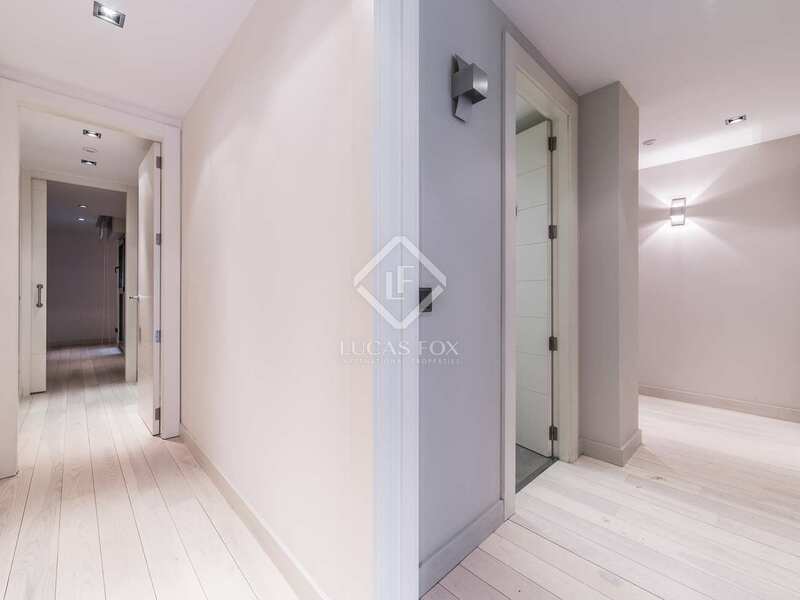 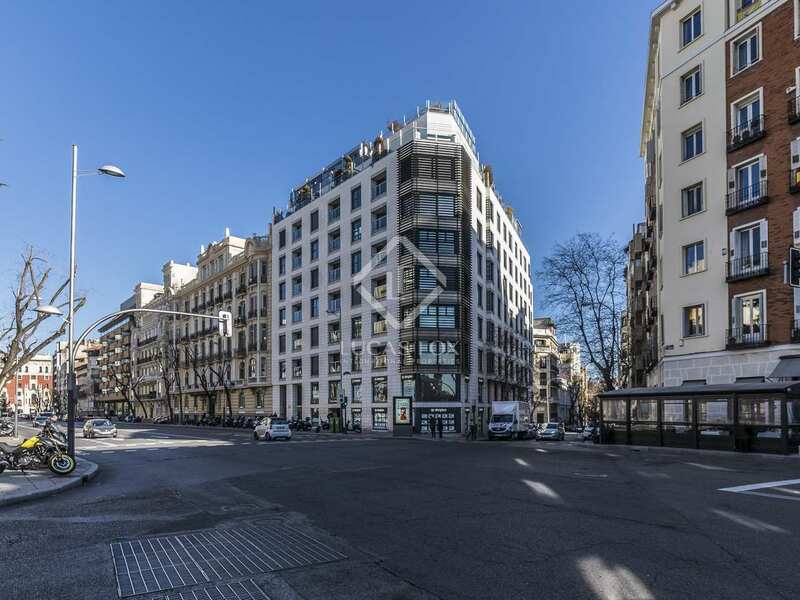 Please contact us for further details of this wonderful rental property in central Madrid. 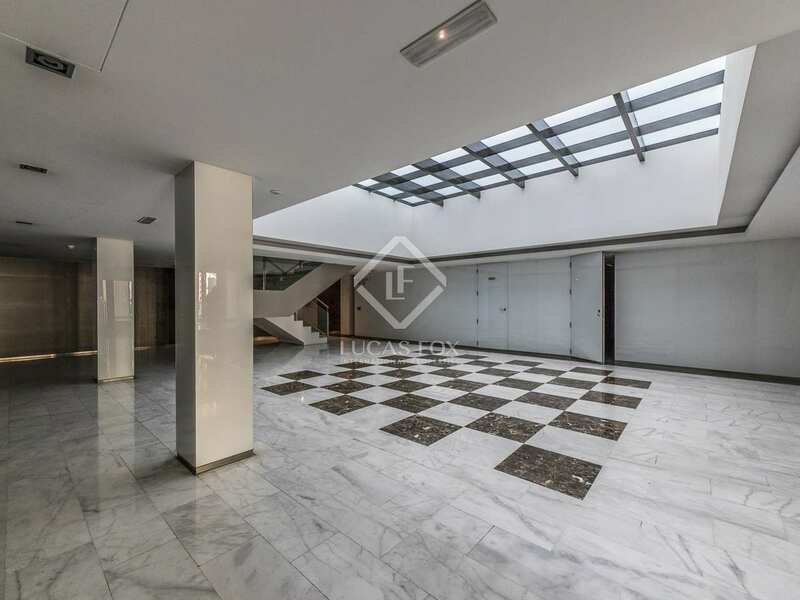 This property is located in the central area of Almagro, in Chamberi. 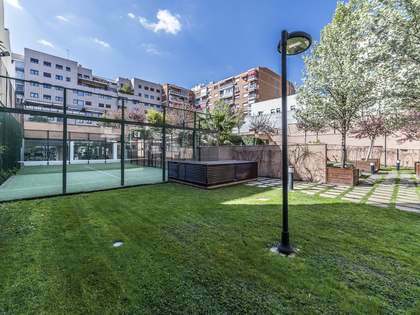 Alonzo Martinez metro station is a stone's throw away and Recoletos train station is within walking distance. 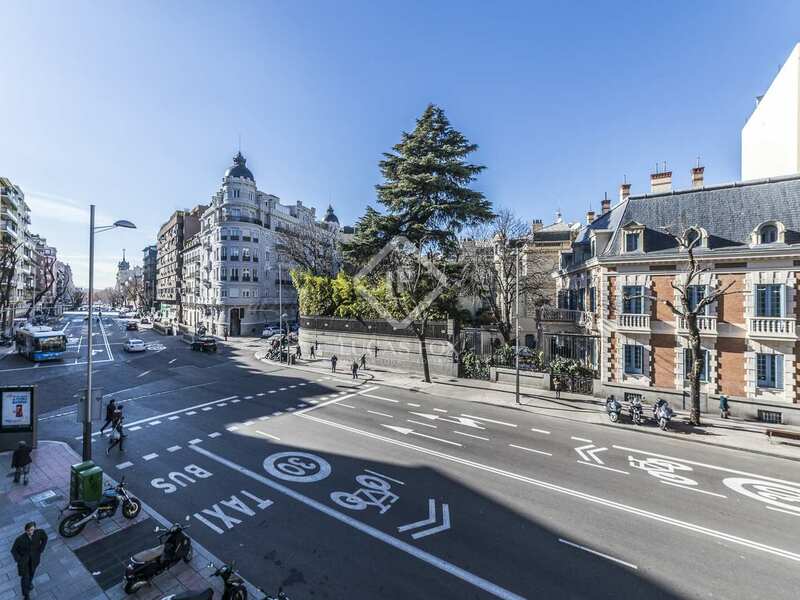 Many places of interest are found nearby, such as the Retiro Park, Gran Via, the Salamanca neighbourhood and the Golden Mile shoppping area. 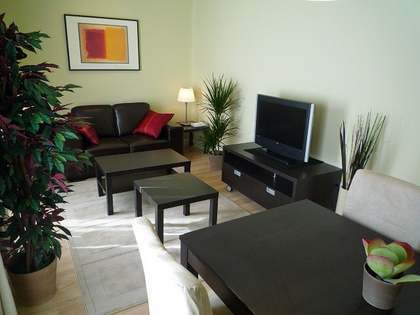 The apartment is also surrounded by a wide variety of shops, restaurants and bars.